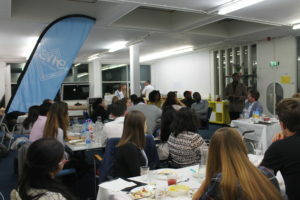 One Young World community dinner went down on the eve of 19th October, 2018. The visit included 25 One Young World delegates (from Germany, Switzerland, Belize, Republic of Moldova, Singapore, Bangladesh, Ireland, Hong Kong, Spain, Belgium,The United States, Argentina, Sierra Leone, Portugal and Monaco) who were very inspirational in their thinking and demeanor. 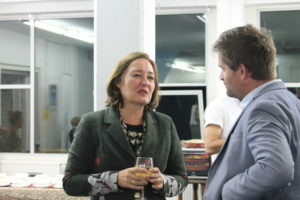 Our special visit that evening came from: Deputy Mayor Saskia Bruines, The Hague’s alderman for Education, Knowledge Economy and International Affairs. The director of The Hague Peace Projects, Jakob de Jonge welcomed the invited guests giving them a warm introduction. 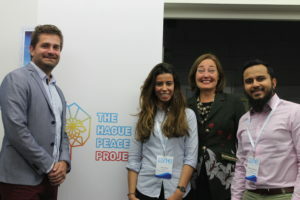 One Young World 2018 delegates got to interact on with The Hague Peace Projects on a wealth of topics. Key on the discussion table were areas that focused on – peace and dialogue in various conflict areas such as : Syria, Turkey, Kurdistan, Bangladesh, The Democratic Republic of Congo – DRC, Rwanda, Burundi, Uganda, Sudan and Somalia. 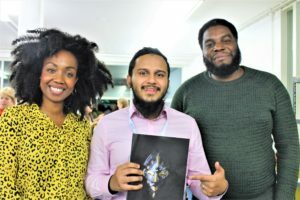 The evening gave the One Young World delegates in attendance, clear insights of dealing with conflict areas by the use of various projects centered on education and culture, media and journalism and research and advocacy. An emphasis on clarity to the situation on ground were demonstrated by selected speakers. 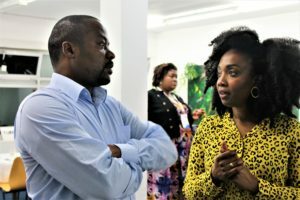 In attendance were the founders of the Yangambi Foundation – Angélique Mbundu and Dady Kiyangi, Katrina Burch of the Hague Hacks, Ewing Ahmed Salumu– Congolese Journalist, Valentin Akayezu- Human Rights Lawyer and Activist, Alena Kahle – Bangladesh- work group writer. 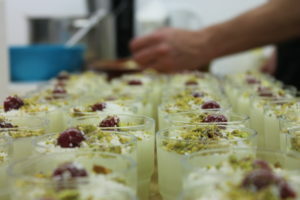 Catering credits went to Ya_Laziz Catering who made sure the One Young World delegates had a delightful feast and pleasant ambience. Valentin Akayezu Human Rights Lawyer, addressing the crowd. Deputy Mayor of The Hague, Saskia Bruines and Jakob de Jonge, Director of The Hague Peace Projects. 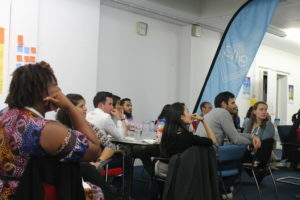 One Young World delegates listening in to the address. 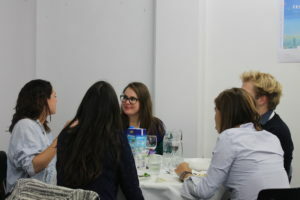 OYW delegates have a chat before their last course. 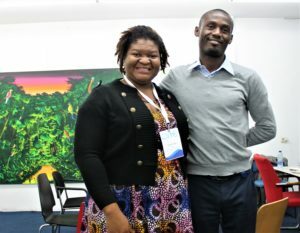 Justin Kabika Congolese expert (right) and OYW delegate for Belize, Kylah Ciego. 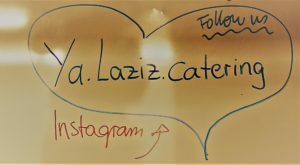 Catering initiative, Ya Laziz, that savored the OYW diner’s taste buds – Instagram handle.